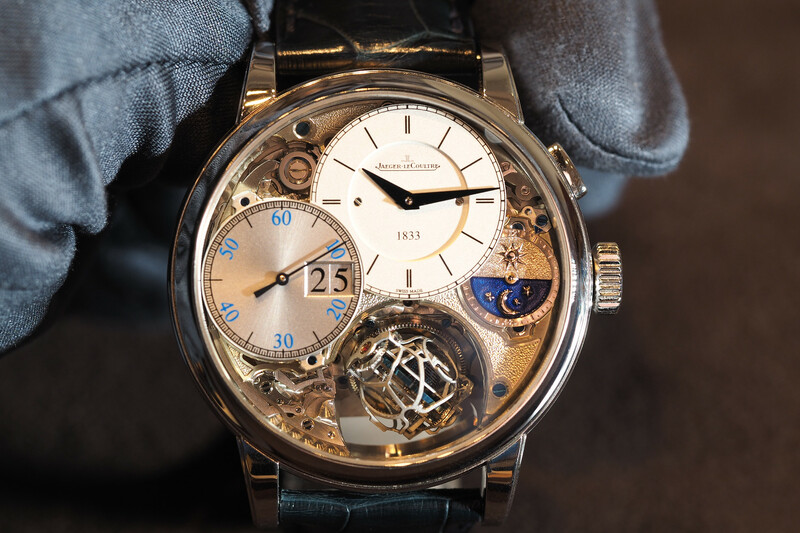 At Baselworld 2015 Laurent Ferrier launched the Galet Square. 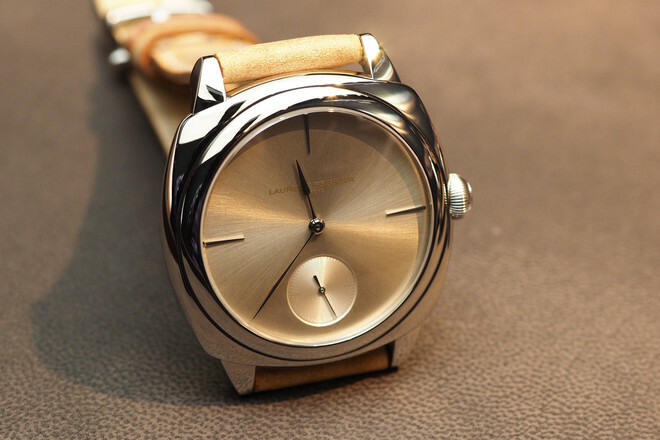 It’s unique cushion shaped case is based on the Laurent Ferrier’s first collection, the Galet (pebble). The Galet Square measures 41 by 41mm (45.35mm across) by 11.10 mm thick. There are three models: red gold with chocolate dial and 11 red gold applied drop-shaped hour markers in red gold, steel with blue blue-toned dial with vertical satin-brushed finish with 11 drop-shaped hour-markers in white gold, and steel with a sunburst gold-toned dial with three white drop-shaped hour-markers in white gold. Beautifully finished Assegai-shaped hands make a distinct statement in the center of the dial, just like with the rest of the Galet models. The hands are in 18K white or red gold (depending on the model). 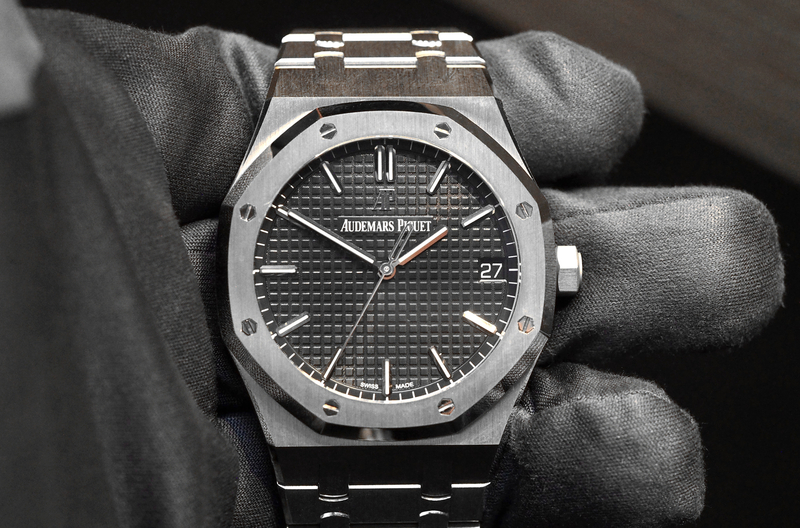 The finish of the cases, the dials, the hands, and the movement is immaculate. The movement, for example, features a Côtes de Genève motif on the bridges and the circular graining on the mainplate, the wheel spokes are beveled, the screw hands are chamfered and polished, the interior angles are hand-crafted. Caliber FBN229.01 is an automatic with a unidirectional pawl-fitted micro-rotor. 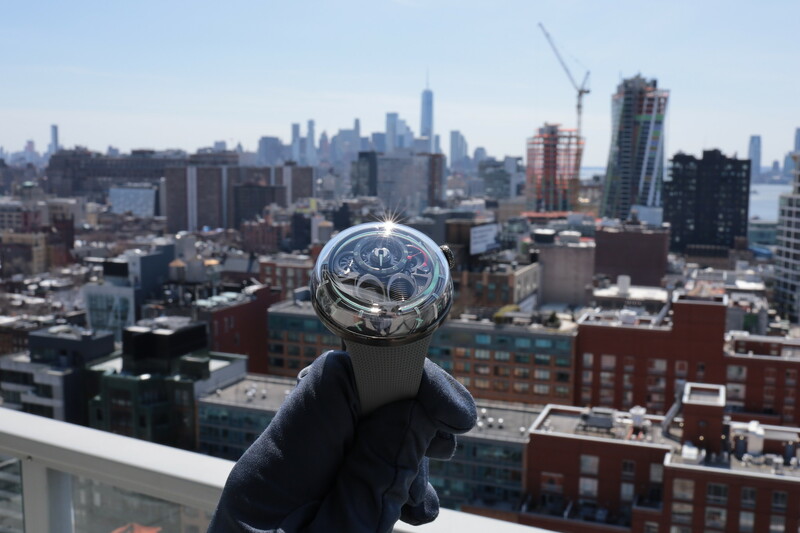 The 3Hz movement has 35 jewels, 186 total parts, and a 72-hour power reserve. Each Laurent Ferrier Galet Square timepiece is delivered with a handcrafted alligator leather or leather strap and buckle matching the case material. Water-resistance is 30 meters. Retail is $38,000 in stainless steel and $53,000 in red gold.